Christian communities have existed in Samarkand since the 6th to 13th centuries. The churches we can see today were constructed in the beginning of 20th century after the city had become a part of the Russian empire. 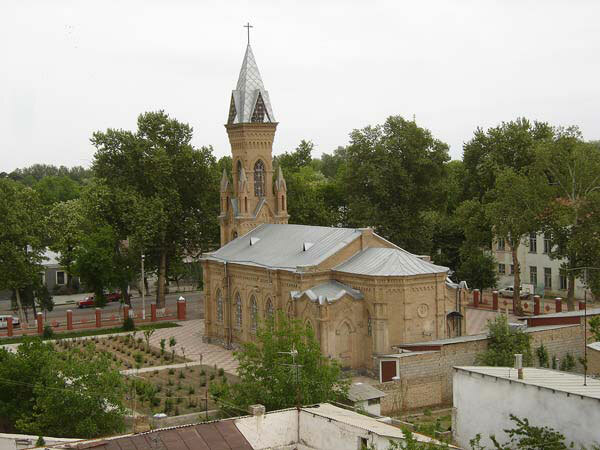 The first Samarkand's Christian Church - St. Georgiy the Victorious Temple (I. Lemke, 1882). The church of the Protection of the Virgin was constructed in 1902. The Alexy Cathedral was built in 1911 and consecrated in 1912 in honor of Alex, Metropolitan of All Russia (reconstructed in 1992). 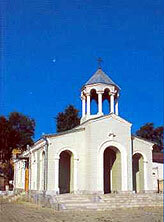 The Armenian Church of Saint Astvatsatsyn (Virgin) was built in 1903. The Catholic Parish church of John the Baptist was built in 1916. 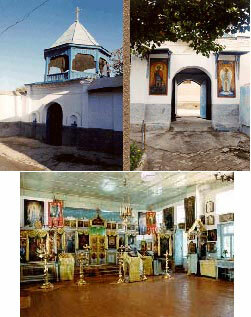 In the 1920-30s Christian places of worhsip in Samarkand were closed by the Soviet authorities. After Independence the churches were returned to the Christian communities, consecrated and reopened for parishioners.